If you dream of an unforgettable wedding ceremony amidst breathtaking scenery, let UGA Escapes host your destination wedding in Sri Lanka. With a variety of settings to choose from, one of our hotels is sure to match or even exceed your expectations. We can offer you a Sri Lankan beach wedding or the perfect tropical honeymoon escape. Select an elaborate tree house with views of the jungle or well-tended fields. 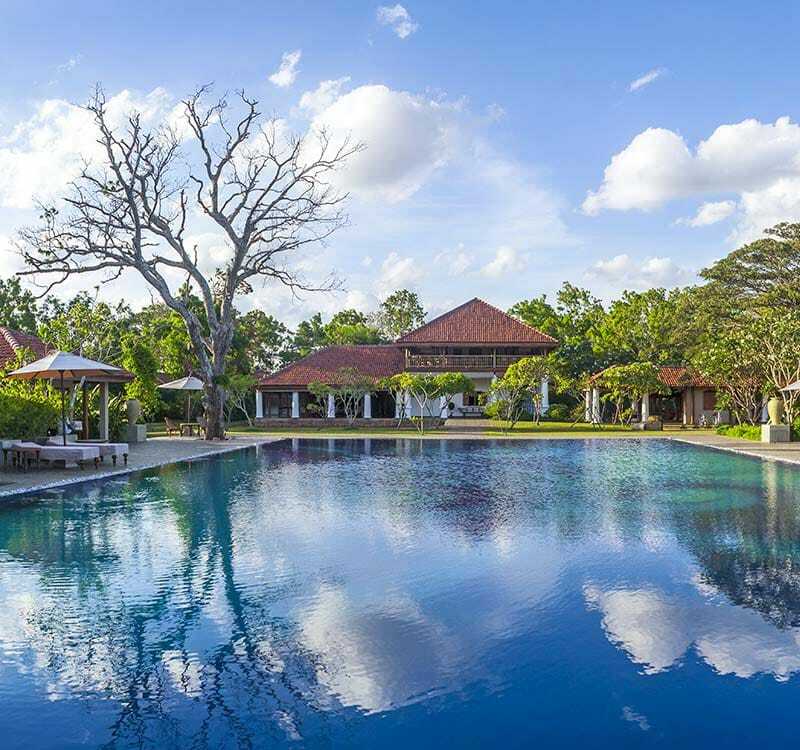 Take over a 150-year-old mansion, or create a ceremony for a select few on the deck of your private cabana while peacocks and monkeys wander in the background. The range of Sri Lanka wedding hotels at Uga escapes will cater to all your special needs. In addition, we offer the warmth and hospitality of the Uga Experience. Nothing is too difficult to arrange. Arrive at your wedding in unrivalled style-whether by boat, antique rickshaw or elephant; or create a menu that combines your favourite foods made in traditional Sri Lankan style. Our dedicated, friendly and knowledgeable personnel-from our imaginative and resourceful wedding planners, our talented food and beverage team or the rest of our warm and hospitable resort staff can create a unique wedding in Sri Lanka that forever captures your hearts.